Just as Technical Diving is not for everyone, becoming a technical instructor is not a decision to be taken lightly. You will be responsible for the training of technical divers in an unforgiving environment where cutting corners or taking shortcuts can have life-threatening results. Regardless of the agency, you choose to train with, research your Tec Instructor Trainer, invest time in your training and don’t take shortcuts on time or cost. If you are passionate about technical diving the rewards and additional career opportunities that come with becoming a technical diving instructor are well worth the effort. The PADI Tec Instructor training program covers two levels Tec Instructor and Tec Deep Instructor, both of which have two parts. 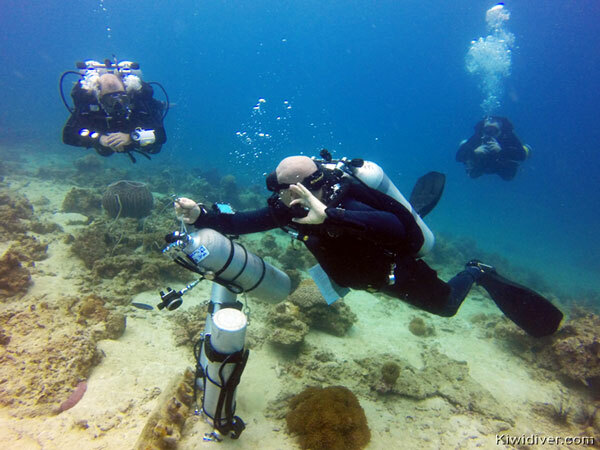 Part one focuses on developing and reviewing the knowledge and skills required for technical deep diving. Part two focuses on fine-tuning your tec diving skills to role model teaching levels and on teaching sessions for knowledge development and practical applications with training dives. At Kiwidiver each course is custom designed for each candidate and we work with you to develop the areas you need to improve while polishing the areas you already excel at. The first step in your instructor training is to talk to our Tec Instructor Trainer and let us help you design a training program for you. Even if you don’t yet meet the prerequisites we can help develop a training program to achieve your goal. 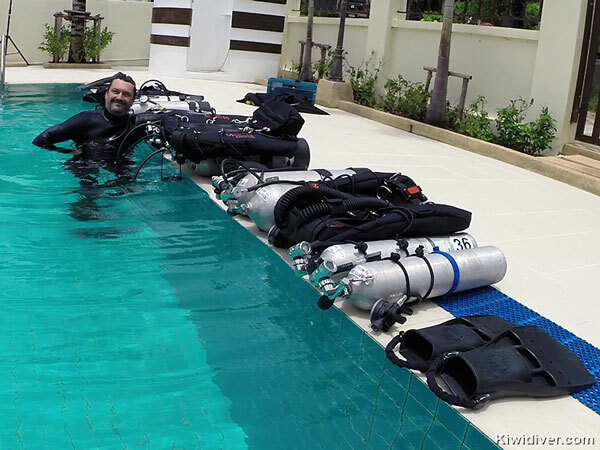 Kiwidiver Course Director and Instructor Trainer Kevin Black has worked with dive centers and instructors from all over the world to help develop Instructors wanting to enter technical diving to achieve their goal of becoming leading technical divers. Even if you are not yet a tec diver we can create a technical training program overseen or conducted by out Tec Instructor Trainer to ensure the most efficient use of time and some great technical dives that will set you up to be a great technical instructor. Contact him directly to discuss your future training today. To conduct all sub-courses in the PADI Tec Diver course, you must be a teaching status PADI Instructor who is certified as a DSAT Tec Deep Instructor. To conduct the Tec 40 course only, you must be a renewed, teaching status PADI Instructor who is certified as a DSAT Tec Instructor. You may qualify by completing a DSAT Tec Instructor or DSAT Tec Deep Instructor Training course conducted by a PADI Course Director who is a DSAT Tec Deep Instructor Trainer like Kiwidiver’s Kevin Black. 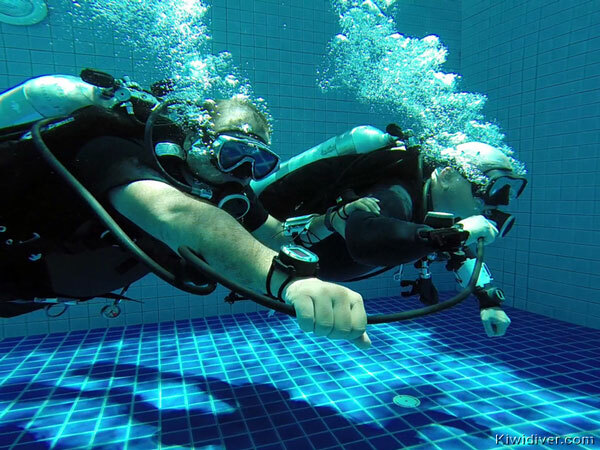 When training to be a PADI Tec Instructor choosing the best trainer and the best facility should be your top priority. Nothing less than a PADI 5 star facility should be considered and nothing less than a PADI Course Director should be considered. You will already be a qualified Tec Diver so the Instructor level is not just about honing your skills to a professional level it is about how to teach technical courses using the PADI system. Download the requirements here. 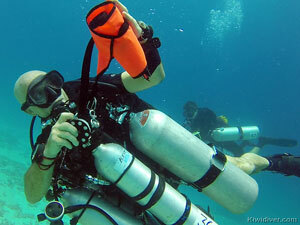 By definition technical diving (tec diving) takes divers beyond the limits of recreational diving. 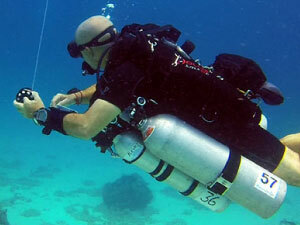 Technical scuba diving is diving other than commercial or research diving that takes divers beyond recreational limits. It is further defined as and includes one or more of the following: diving beyond 40 metres/130 feet, required stage decompression, diving in an overhead environment beyond 40 linear metres/130 linear feet, accelerated decompression, the use of variable gas mixtures during a dive, and/or the use of scuba technologies that require discipline, thought, training and attitude beyond that required by recreational divers. Technical diving has inherent risks and increased complexity and is not for everyone. 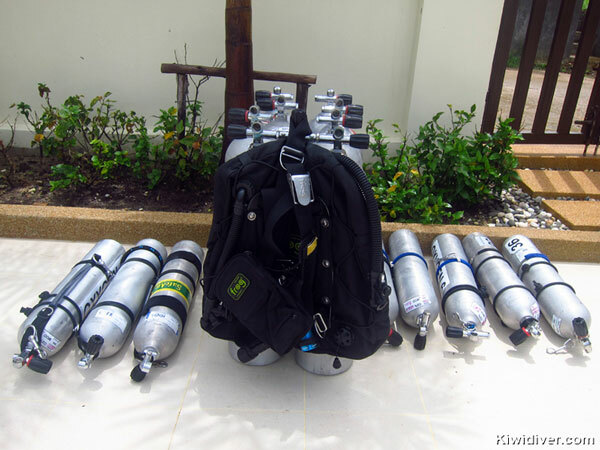 Becoming a Technical Diving Instructor takes time and practice. Kiwidiver is the only PADI 5 Star facility and Official PADI Tec Rec Center in Phuket who has a full time PADI Tec Instructor Trainer on site. 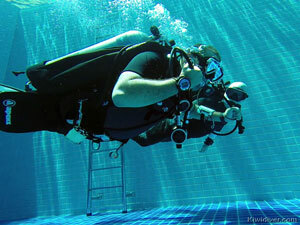 Kiwidiver also teach genuine PADI Sidemount Instructor, Tec Sidemount Instructor and PADI Rebreather Instructor courses. Are you ready to make that commitment? Talk to our Technical Diving Instructor Trainer today. Do you have questions about the PADI Tec Instructor Courses?